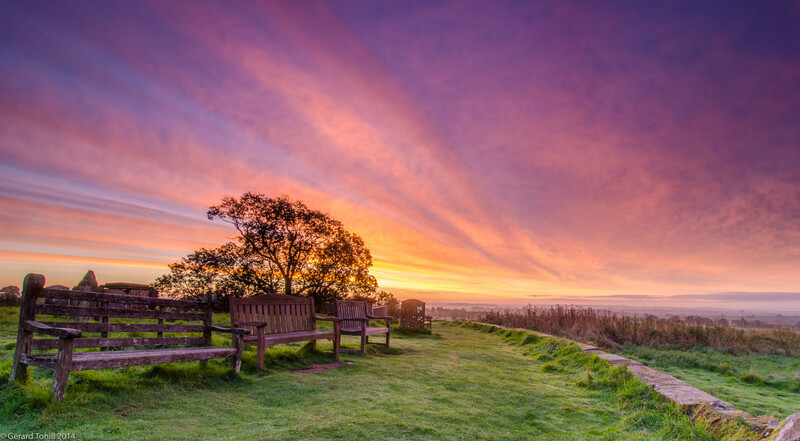 Imagine sitting on these benches and watching this spectacular sunrise unfold before your eyes. This is the top of Hanbury Hill, with the view southwards across Worcestershire towards the Cotswold hills. A great place to sit and take on the morning sun at it lights up the landscape.